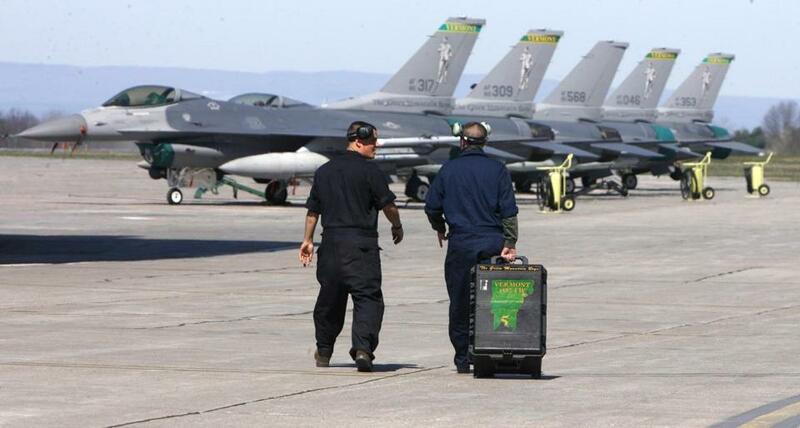 A maintenance crew walked toward a row of Vermont Air National Guard F-16 fighter jets in South Burlington, Vt., in April 2010. Patrick Leahy is among the key cheerleaders for the F-35s. Leahy, in an e-mailed statement, reiterated his support for the planes but did not respond to allegations of political influence. The Air Force denied the fix was in for Vermont, even though it now says it is reassessing residential impacts and other factors using updated information — a review that could end in a reversal of its preliminary decision. Pentagon officials said the first set of sound projections, provided by Burlington International Airport and Vermont National Guard in 2008 to the Federal Aviation Administration, caused the Air Force to underestimate the number of homes that would be affected by replacing the Vermont Guard’s current squadron of F-16s with up to 24 of the more sophisticated, but louder, F-35s. 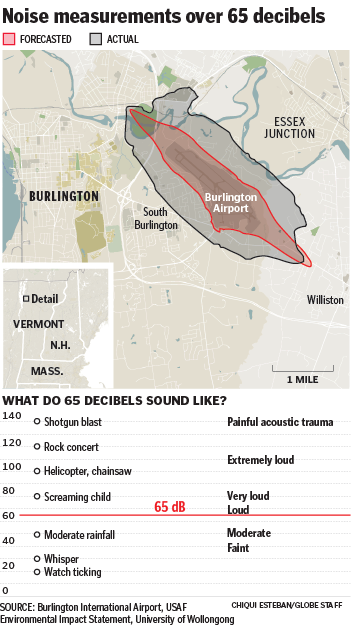 Updated sound estimates — showing a much wider geographical impact in the vicinity of the airport — were produced by an Air Force survey team that visited the base and surrounding communities in 2009. But the Air Force did not revise its initial assessment of the Vermont base to reflect those new estimates, continuing instead to rely on the older data as the basis of its decision in 2010 to send the jets to Vermont. The Pentagon officials said the Air Force made other errors in its initial review. It didn’t take proper account of the distance to the nearest weapons depot, in Fort Drum, N.Y., which would require trucking missiles and other arms 200 miles to South Burlington. And the Vermont base wasn’t marked down for being distant from the coast, which means Vermont Air Guard pilots would be required to streak across hundreds of miles of US soil before engaging threats to US airspace. Judging strictly by the Air Force’s environmental and operational criteria, there were more attractive bases in South Carolina, Florida, and Alabama, the Pentagon officials said. The Air Force was expected to finalize its selection of Vermont later this year, which could clear the way for preparations to begin for jets’ arrival in Vermont. The earliest the squadron could be flying would be late 2015. Air Force officials insist its selection of Vermont was based on objective criteria and that there was no intent to reward Leahy with a squadron of state-of-the-art jet fighters. “I can attest to the integrity of the process,” said acting assistant secretary of the Air Force Kathy Ferguson, who oversaw the service’s so-called Executive Steering Group for Basing. But she acknowledged the Air Force has revised estimates of the environmental impact of the F-35s, and said the final review will reassess some of its earlier conclusions, including proximity to a weapons depot. “We are well aware of that,” she said. But he also acknowledged in a letter to members of the South Burlington City Council that some of the environmental data that was initially fed into the process was not up to date. 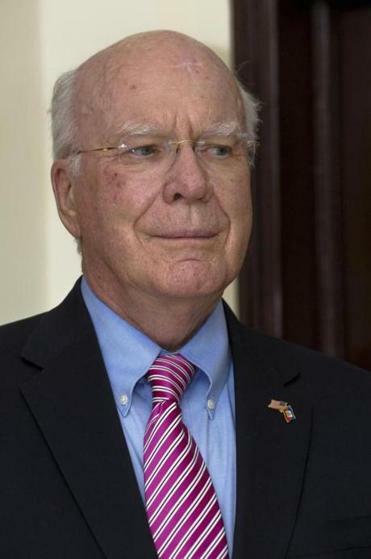 Leahy, elected in 1974, is a powerful figure in the Senate. He is the longest-serving member and a senior member of the Appropriations Committee’s Subcommittee on Defense, which exerts great control over how the Pentagon spends its budget. As cochairman of the National Guard Caucus in the Senate, Leahy also is a prominent booster of the Guard and looks out for the Guard’s interests in Washington. While the Air Force was conducting its F-35 National Guard base evaluations, Leahy was simultaneously sponsoring successful legislation that significantly elevated the National Guard’s status within the military by making its top official a four-star general and giving it a seat on the Joint Chiefs of Staff. Leahy also has other political connections to the Air Force and the National Guard. One of his former top Senate staffers, Daniel Ginsberg, is an assistant secretary of the Air Force. The former adjutant general of the Vermont National Guard is a general in the Air Force and second in command for North American homeland defense. Leahy was a strong advocate of basing F-35s in Vermont, issuing laudatory press releases with each positive step toward the award. Asked specifically about allegations of political influence, Leahy did not respond directly. In an e-mailed statement, the senator said the benefits of the F-35s appear to outweigh the disadvantages. Leahy has been among the most prominent cheerleaders for basing F-35s at the Vermont Air National Guard, but he had plenty of company. Strong support came from the governor, the state Legislature, a slew of local business leaders and groups, as well as his fellow senator, independent Bernie Sanders. As controversy has bubbled about the Air Force base decision, F-35 boosters have mounted public relations campaigns to defend the choice. 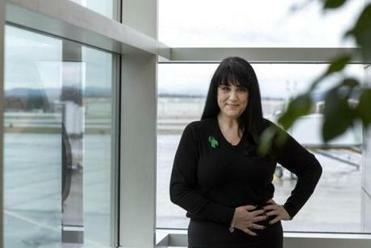 Nicole Citro, a local insurance agent, has circulated thousands of green ribbons and bumper stickers expressing support. “Put up your green ribbons and as a community show we are all proud of our Green Mountain Boys and the outstanding job they do defending this great country,” her website urges. Jobs may be at stake, say supporters. The 1,100-member Vermont Air National Guard could be without a mission if it does not receive the new planes and the current squadron of F-16s is phased out as expected over the next 15 years. “Every single political leader in this state is pro-F-35,” said Ernie Pomerleau, a local real estate developer who sits on the board of the Greater Burlington Industrial Corp. and believes the move will boost the local economy. Local supporters and military officials insist that Vermont offers military benefits that other potential F-35 locations do not, including relatively unfettered airspace to train and proximity to populated areas across the Northeast of the United States. They point out that it was Vermont Air National Guard that patrolled the airspace over New York City on Sept. 11, 2001. But local officials and residents upset about noise have sent an avalanche of letters to the Air Force in recent months, asking that it reconsider its decision. The potential for thousands of homes to be negatively affected by excessive noise — deemed to be above 65 decibels — would add to the 200 homes that have already been so designated due to commercial growth of the airport. Already, some 50 homes have been purchased by the airport with federal grants and are in the process of being demolished. Ben Cohen, founder of Ben & Jerry’s Ice Cream, is among those who are speaking out publicly. Cohen said in an interview that he believes the new fighter jet is not only unsuitable for Vermont but, citing F-35 development problems, is an ill-advised investment of taxpayer dollars. “We are all proud of our Green Mountain Boys and the outstanding job they do defending our country,” said Nicole Citro, on her website, supporting the F-35 decision. Even Leahy has been sharply critical of the Pentagon’s broader, $400 billion procurement program for the F-35, which is one of the costliest in Pentagon history and is suffering from a series of delays and technical setbacks. Leahy’s office says he has decided that if the program is going to go forward his constituents should benefit from it. Local residents like Jamie Tucker, a 45-year-old builder whose one-story ranch house is situated just a slim patch of woodlands from the Air National Guard runway, isn’t so sure. 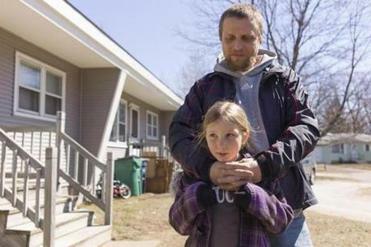 He says he would like to stay but knows the noise — and its impact on the neighborhood where his two daughters go to school and have set down roots — will only become less attractive if the F-35s are based here in the future. In general, the FAA recommends that local authorities not permit the construction of residential homes in the areas affected by high noise levels, but the decisions on how to mitigate problems are left to communities. Homeowners are unlikely to be forced to move, but the FAA’s designation of a sound zone that is “incompatible with residential use’’ makes it exceedingly difficult to sell homes. Leahy’s senate colleague Sanders, too, says he wants more information about how the selection of Burlington was made. Due to a reporting error, in an earlier version the year when the site survey took place and the year of Burlington decision were incorrect. The site survey was conducted in 2009, not 2011. The decision to select Burlington was made in 2010, not 2012.